I decided I'd finally stick a thread on here for my group. 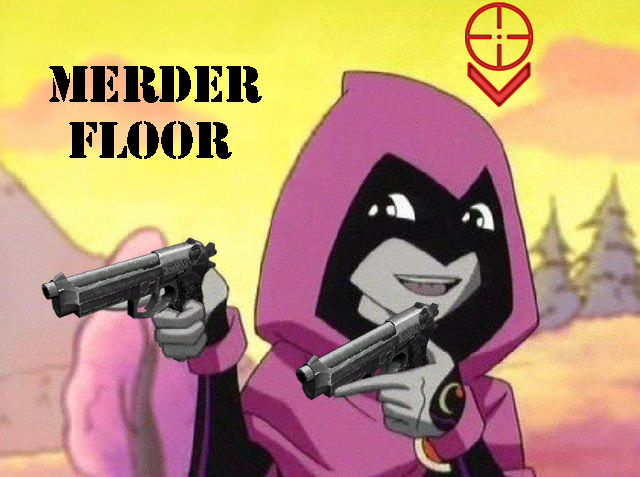 Merder Floor is a group primarily involved in Killing Floor. It was founded by myself December 12th, 2011, initially as just a way to quickly organize teams of decent people to play with, over time it evolved into what I guess most people would call a clan. In a nutshell, MerFlr is a small group of internet friends who play too many games, mess around, and argue with each other a lot but never anything too serious. Immaturity at its finest. Currently we have 19 members, aged 16 - 27, with 10,500+ combined hours of in game experience, most of which is on HoE in standard KF. Right now we have 2 public dedicated servers based in New York City, NY, USA. We use Teamspeak 3 for in game and general voice chat. Members are able to ask to have either server temporarily passworded if they want to have a private game. Both servers now run Whiskey's Arachnophobia mutator as a vote option. 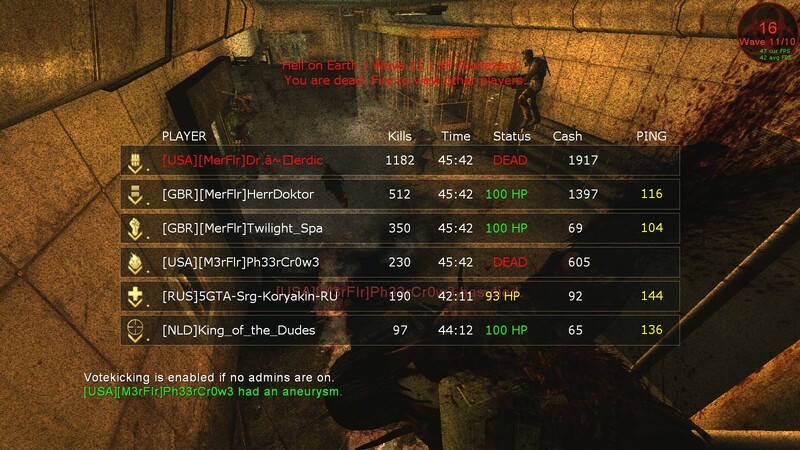 Anyone who meets a few requirements is welcome to ask to join, we play Killing Floor often, and are on Teamspeak(almost) every day and almost exclusively play Hell on Earth, so experienced players are preferred. However, we're always willing to help someone who's inexperienced but is a good team player and willing to listen. A few of our current members joined as soon as they got the game since they were friends of existing members and now play HoE regularly. People who've either hacked their perks or leveled using KF-LevelingPerky or a similar map aren't tolerated. Also pink Level 0 Raven with dualies = mascot, dealwithit. Anyone who's interested add me on Steam, we don't have a website since I find private forums to be frivolous when we just use TS3 or steamchats all the time. Last edited by Merdic; 07-26-2013, 03:37 PM. I sure will be testing your servers (for Ping, not skillz ) as I am on a GMT+1 timezone! GMT+1's ping might be a little high to be comfortable, at least for me playing anyway, Twi and HerrDoktor ping typically about 92 - 108 from Britain. I'm adding a 3rd server soon based in London for Europeans, most of us are East coast USA so we ping under 100 to most English servers which is quite tolerable. Also @Nnnarekkk your netspeed is 3x mine wired, that has nothing to do with ping skank. And I think I've seen you on the servers before I remember playing with someone who used that bind. Yeah, it was the game on west london. You were playing support. My name was Bio. That game actually was on a server in England I believe, your ping was fine for most of it if I remember right.